The Bermuda Cricket Board confirmed that the National U17 squad will be competing in an ICC organised triangular tournament next month in Houston. 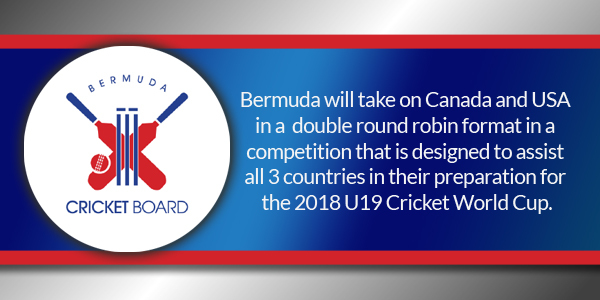 Bermuda will take on Canada and USA in a double round robin format in a competition that is designed to assist all 3 countries in their preparation for the 2018 U19 Cricket World Cup. The tournament will be hosted in Houston, USA. The squad leaves Bermuda on July 14th and returns July 20th. The BCB said they expect to be announcing the travelling squad at the end of this month.